(Nanowerk News) New, license-free DNA ladders will allow researchers to estimate the size of fragments of DNA for a fraction of the cost of currently available methods. 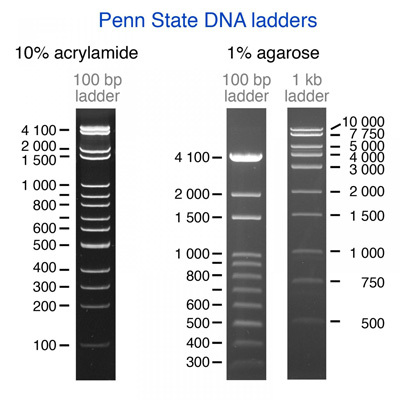 A research team of undergraduate students led by Penn State Professor of Biochemistry and Molecular Biology Song Tan and former undergraduate student Ryan C. Henrici developed two plasmids -- a circular form of DNA -- that can be cut by DNA scissors known as restriction enzymes to create the DNA ladders. The ladders can be used to estimate the size of DNA fragments between about 50 and 5,000 base pairs in length. 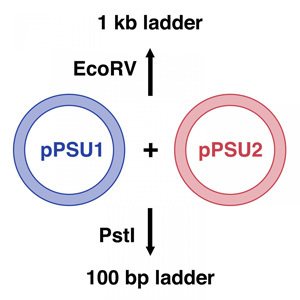 A paper describing the research appears in the journal Scientific Reports ("The pPSU Plasmids for Generating DNA Molecular Weight Markers").